There's little question about the business and financial benefits of cloud adoption. Gartner research cites better cost agility, lower cost output, and smaller opportunity cost as just three ways the cloud can continue to serve your organization, month after month. But what if the cloud, which is beloved for its scalability, could become even more flexible and scalable? Near-limitless cloud computing can be achieved with direct connection. 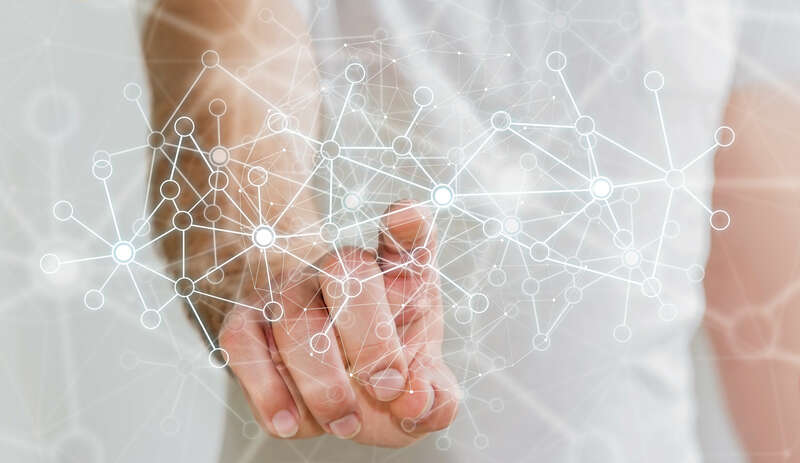 As organizations establish relationships with an increasing amount of cloud vendors, the concept of direct connection is becoming increasingly popular. Ninety percent of businesses are currently using the cloud in some capacity, with nearly one-third actively planning "secondary migrations" in the future. High performance: By replacing a public Internet connection with direct peering, organizations can double the speed of data transfer while lowering latency and improving consistency of performance. Security and risk mitigation: Organizations can diminish the likelihood of data breach by diminishing their attack surface and gaining higher control over sensitive workloads. Predictable service and cost control: You will no longer have to deal with the unreliability of public Internet connections, which allows you to avoid the service degradation connected to revenue loss. For more information on the nitty-gritty details of direct connection to the cloud, we recommend What is the Best Way to Connect to the Equinix Cloud Exchange? However, the benefits of this switch aren't limited to just data breach risk mitigation and lower latency. Your IT team is likely to achieve a new degree of agility, which will support your objectives in the months to come. In this blog, you'll learn some of the lesser-known ways that a direct connection to the cloud can impact your entire organization and help your IT team explode your metrics. Innovate or die. In the age of technology-driven business disruption, this concept has become something of a battle cry. Case studies abound of organizations who couldn't or didn't keep up with innovations in their industry, including Kodak, Blockbuster, Borders, and countless more. While business adaptation is a necessary tool for survival, achieving a culture of innovation is important to your success. This requires creativity and employees who are willing to take risks, as well as the right tools to move quickly and fail fast. As the lines between IT and business strategy become increasingly blurred, IT leaders are called upon to offer solutions to their organizations' needs. Technology isn't just a commodity anymore, it's a platform for competition and production. Join us as we review why more flexibility in cloud services is at the core of business innovation. How Can You Innovate with a Direct Connection to the Cloud? If you're anything like the average IT professional, you probably spend too much time putting out fires and too little time on strategy, planning, and ideation. While individual figures can vary significantly, experts estimate the average development team spends just 12 hours per week delivering actual value via brainstorming, collaboration, or code development. The rest is spent on administrative tasks, waiting on test results, or environment management. The world's most successful people are masters at maximizing their time. They minimize the unnecessary so they can accomplish what they're truly great at. If you were able to remove some of the most common cloud management woes from your life, including troubleshooting performance issues and integration problems, how much more could you get done? The threat of a cybersecurity attack could be classified as a reputational, compliance, and operational. Projects that are running behind deadline are most likely financial and operational in nature. It's safe to say that certain types of risk management are a more "desirable" use of time than others. By establishing a direct connection to the cloud, you're able to eliminate many types of risk from your daily workload. You won't completely obliterate the chance that you'll be hit with a data breach, but you can significantly increase your information security. You may still face financial risks, but the chances a project will fall behind due to latency issues will be diminished. In practice, this means you're able to shift your focus towards strategic risks, optimizing your operations and portfolio to make your company the most effective and powerful organization it can possibly be. Time to deployment may be one of the most crucial IT metrics, at least in your boss's eyes. McKinsey notes that some of the world's most successful organizations, including Netflix, are able to bring new code live in a matter of hours. With a direct connection to the cloud, your CEO's request for an "as soon as possible" deployment could actually become a reality. With easy access to thousands of vendors via the cloud exchange, your organization can immediately begin working on hot jobs with unprecedented response time. Applications have come a long way since the licensing days. However, many organizations still haven't arrived at a truly real-time model. Cloud services via public Internet require the physical provisioning of cross-connects, which can slow down your ability to add and subtract services or scale according to your needs. With a direct connection to the cloud, organizations are finally able to achieve true real-time provisioning, which can enable the development of sophisticated hybrid applications. Your ability to unlock services and networks is only as limited as your needs and budget. The cloud has introduced a new era of scalability for IT. However, direct connect can really take this potential to the next level. A single direct port connection to a cloud exchange can enable organizations to choose between 100 Mbps and 10 Gbps connectivity, according to needs. Innovation in IT shouldn't be limited by speed or bandwidth issues. When your organization's needs change, so should your cloud services. Are You Ready to Direct-Connect Your Business to Unlimited Potential? Atlantech Online is a leading provider of unified business communications services, including differentiated SIP. As a partner of the Equinix Cloud Exchange, we are proud to enable customers a direct connection to the cloud via reliable, business-class fiber-optic Internet technology. To learn more, contact an Atlantech representative today!